A mother has told how she made the heartbreaking decision to stop her young daughter’s cancer treatment for her to enjoy a pain free last Christmas. 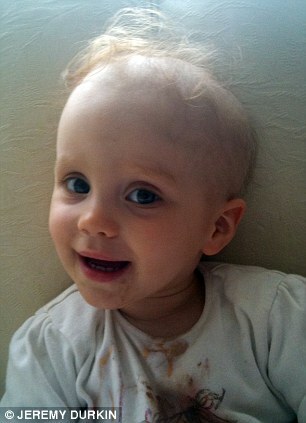 Terminally ill three-year-old Isabella Coomber has been battling a rare brain tumour since she was one. She was due to start a final cycle of chemotherapy last month to help extend her life. But chemotherapy treatment left the little girl from Charlton, South London, so sick that her mother pleaded with doctors to end it, so Isabella would be well enough to have fun at Christmas. 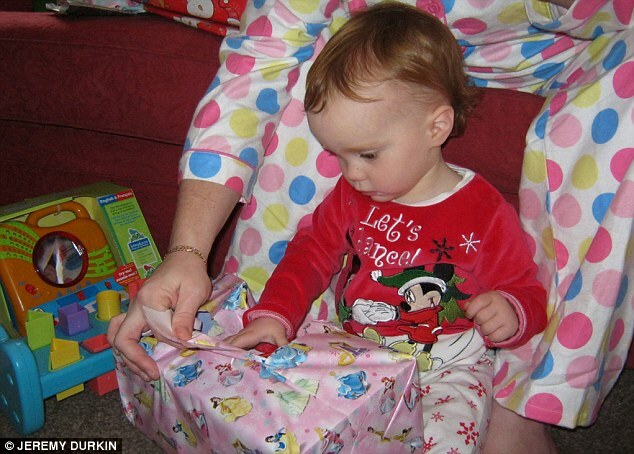 This Christmas will be her last, which is why her mother Jolene Hale is determined to make it the best ever for Isabella and her sisters Rebecca, seven, and Sophia, 18 months. Ms Hale, 32, said: ‘There will be no tears while Isabella is here. We are lucky enough to have another Christmas with our darling girl and I want to create happy memories that we can cherish forever. ‘Cancer has ruined every Christmas she has been old enough to know about so far, but not this one. This year she will have fun like other children. ‘The treatment will not cure Isabella so what is the point of continuing if it makes her quality of life so poor she can’t enjoy herself? 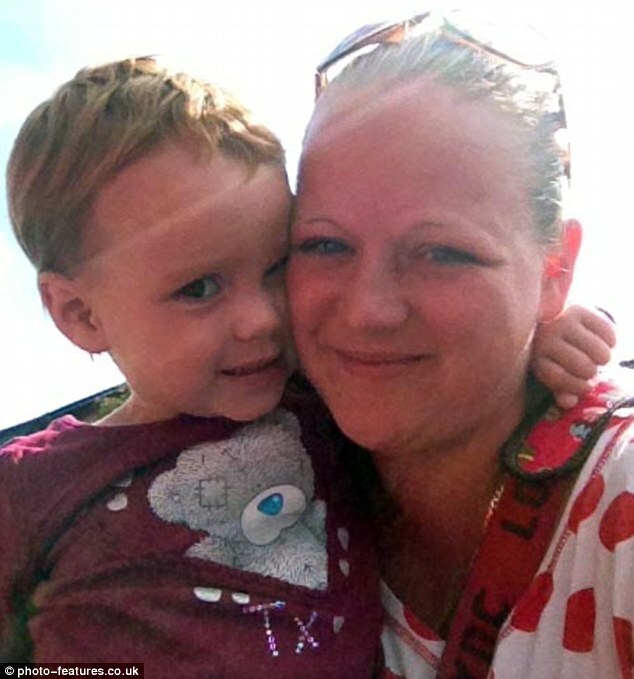 Ms Hale is now desperately fundraising to fulfil her daughter’s final Christmas wish to visit Disneyland. The little girl asked Father Christmas if instead of a present she could go and see her favourite characters again, after fundraisers sent the family to Disneyland Paris last year. Ms Hale said: ‘I nearly had a heart attack when she told me she had asked Father Christmas if she could go back to Disney. She had the absolute time of her life there last year, I have never seen her so happy. ‘I had no idea that’s what she was planning to ask for at Christmas. But there is no way I can afford to take her. ‘It will break my heart not to be able to give her what she has asked for when I know this will be her last Christmas with me so I’ve started fundraising to see if it is possible. Isabella was born seemingly perfectly healthy on September 30th 2010. Her mother first feared something was wrong when she was five months old. By the time Isabella was ten months old, Ms Hale was pregnant again, but still concerned for her baby who was unable to sit unsupported. 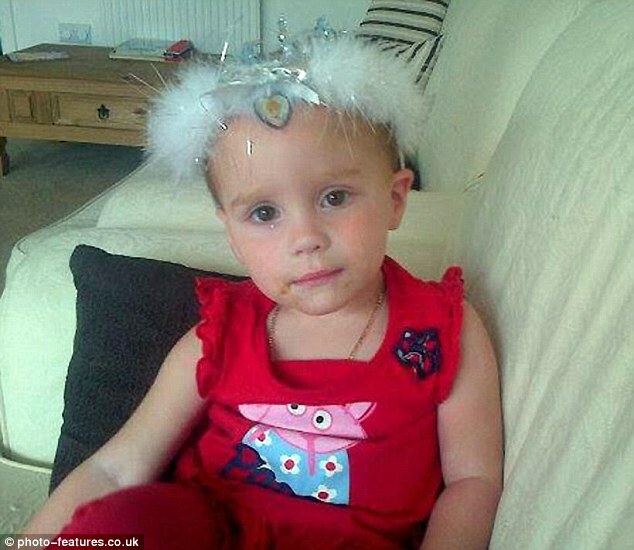 She was referred to the Royal Marsden in London for tests and on December 16 2011 Isabelle had a brain scan which revealed a large tumour. At the time the tumour was thought not to be cancerous but still needed to be removed within days. 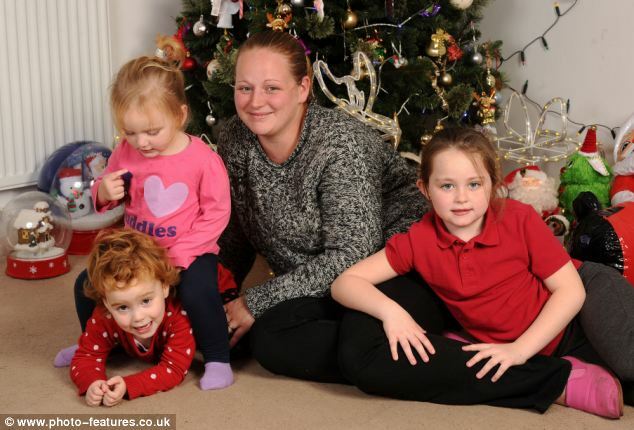 Isabella’s mother hastily brought Christmas forward for her little girls to enjoy the big day before their sister returned to hospital for surgery. 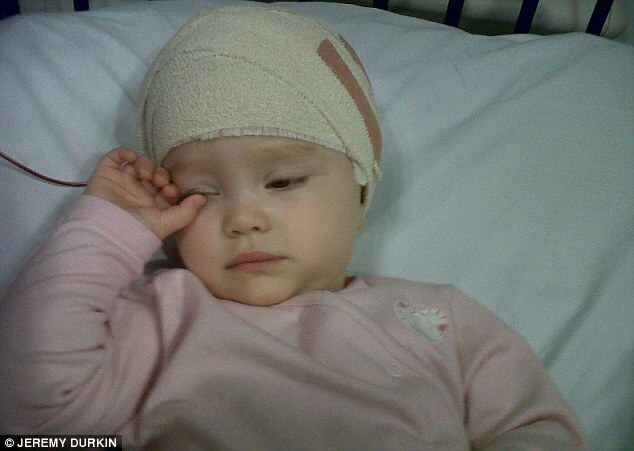 Days later Isabella underwent surgery and spent the real Christmas Day recovering on the ward. 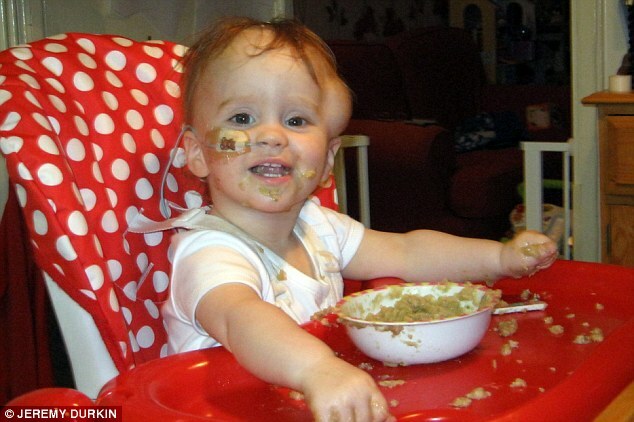 But during the eight- hour operation surgeons were only able to remove 80 per cent of the tumour. The rest was wrapped around a main blood vessel and too dangerous to remove. As she recovered, she was nicknamed the Little Lion by nurses for her courage and bravery. 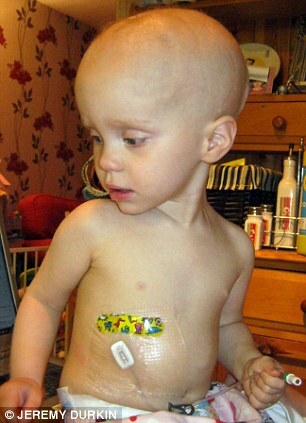 But there was bad news when tests revealed the tumour was in fact an extremely rare cancer. Isabella started chemotherapy immediately and three months later in March 2012, Ms Hale gave birth to Sophia but unfortunately separated with the girls’ father Chris. But she wasn’t responding to treatment as hoped, so her family began fundraising for pioneering proton treatment in America. Last Christmas she battled through more chemotherapy and the family prayed it would work. But in September this year doctors broke the terrible news that Isabella would not survive and had just ten months left to live. Ms Hale said: ‘I will never ever forget those words. They told me my little girl would never grow up and in that moment my heart shattered forever. 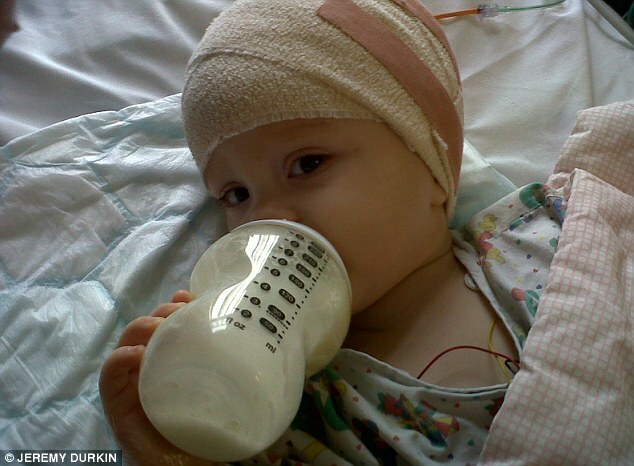 Chemotherapy was arranged to try and prolong the her life but the first round left her so sick and weak her mother spoke to doctors about ending treatment. She said: ‘I couldn’t bear to see the precious time she had left wasted being ill on hospital wards. She’d been through so much already and I felt it was time for her to start enjoying life. Isabella’s consultant agreed that her quality of life would be so poor the treatment should be stopped for her to have some fun. He also advised the family not to waste their time going to America for treatment. Instead it was agreed that the tens of thousands that had been raised by well wishers to send her to America should instead help other children with cancer. The cash was used to purchase a caravan which is now available for free holidays to families who need them most. It was named the Little Lions Den after Isabella. 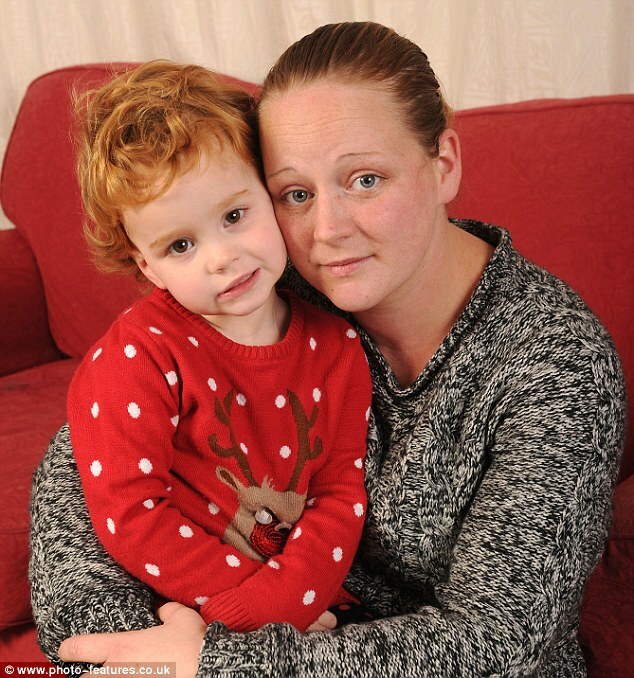 So when Isabella revealed her Christmas wish this year, it meant her mother had to start fundraising again.